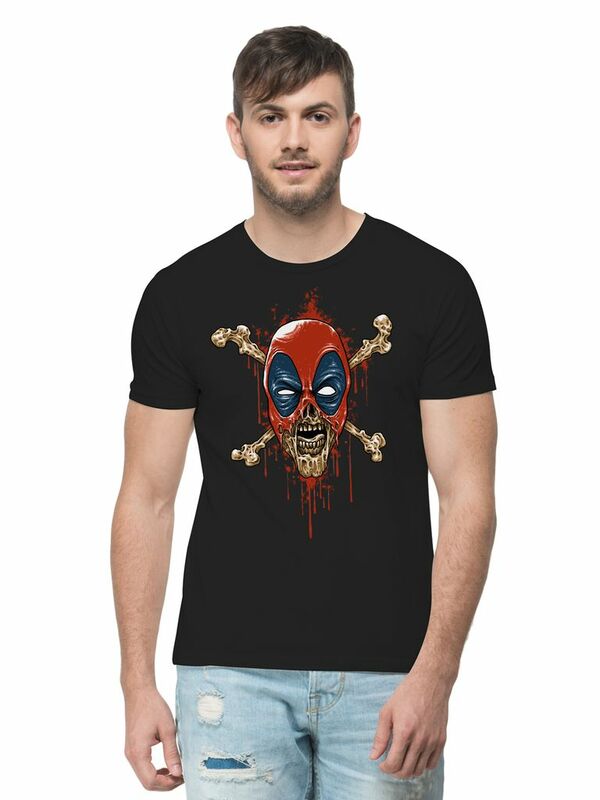 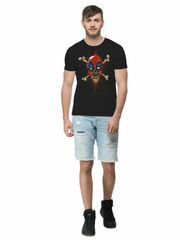 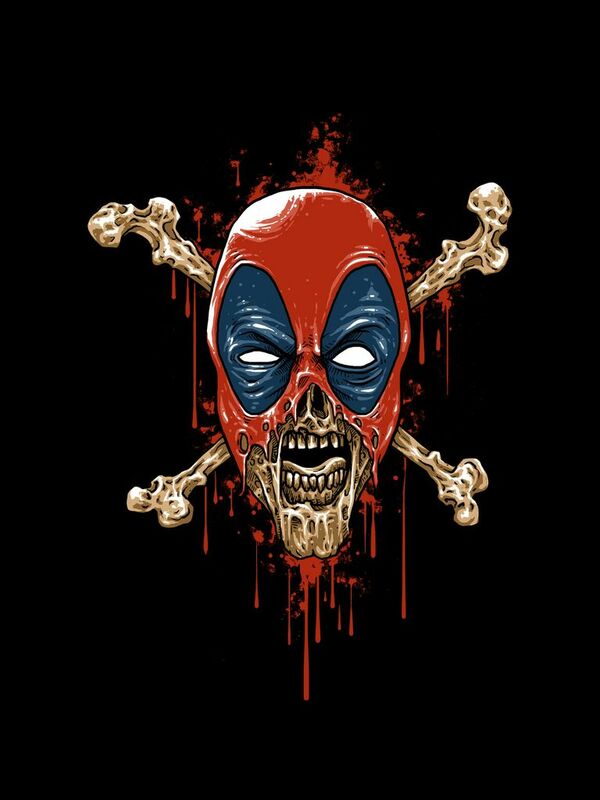 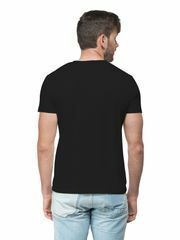 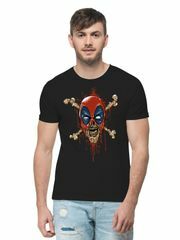 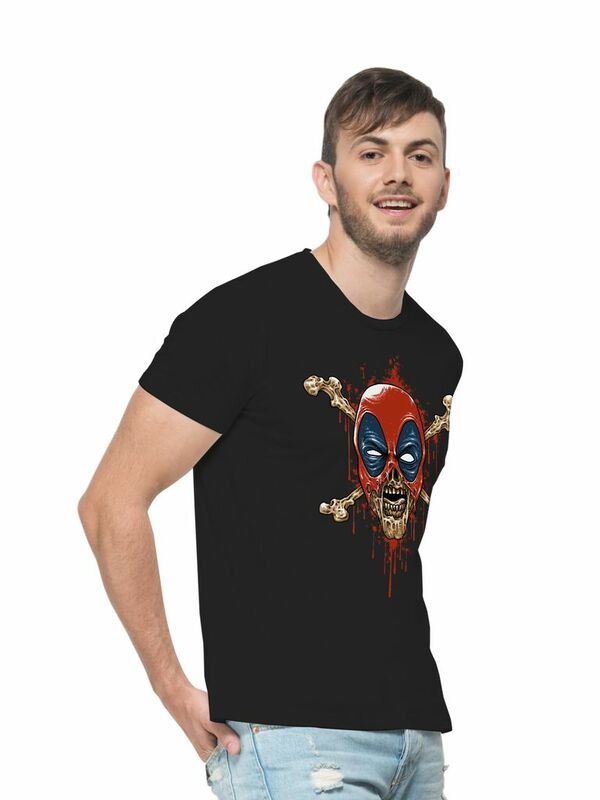 A trendy yet comfortable Deadpool Skull Spoof | Dead pool Dark Humor Funny Abstract Creative Casual Art Graphic Printed T-shirt for Men from THREADCURRY, made of 100% Ringspun Cotton illustrating creative artistry. Just slip it on with your favourite pants and turn on the creative side of you. 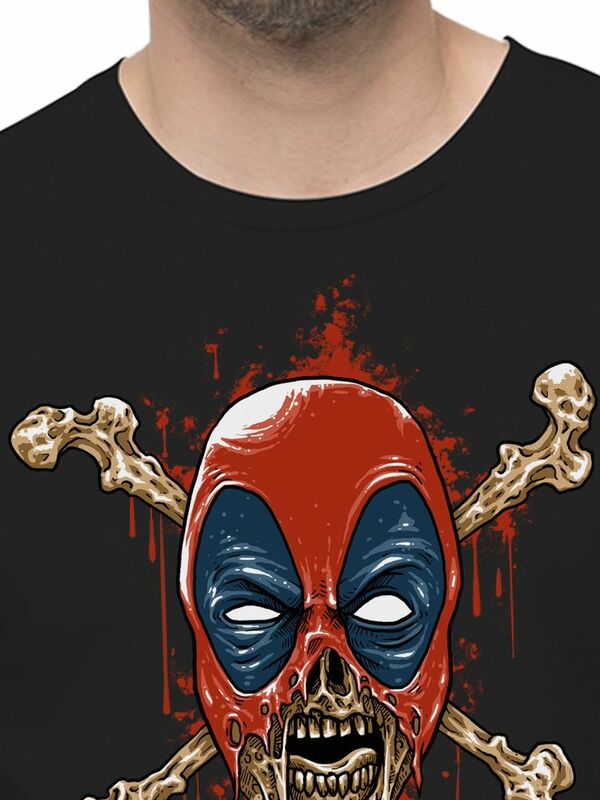 Great shirt for the price. 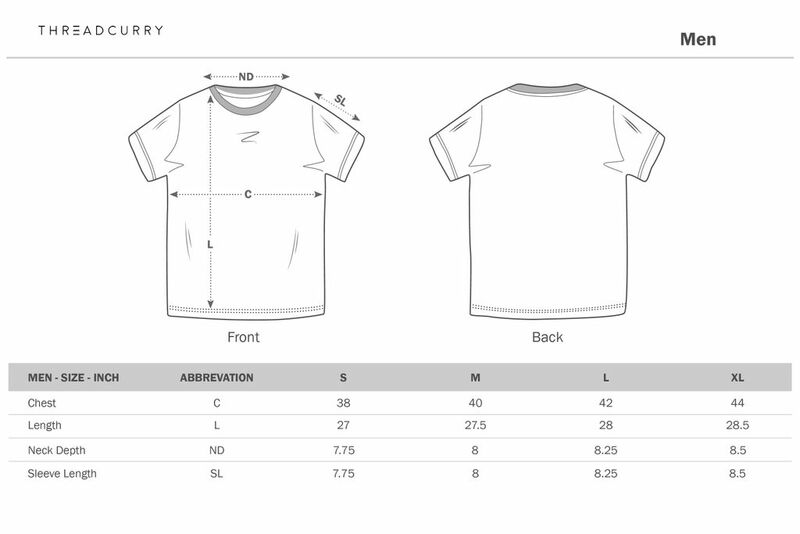 I always have a problem with shirts shrinking after I think I find one that fits well, but this one has NOT shrunk at all. 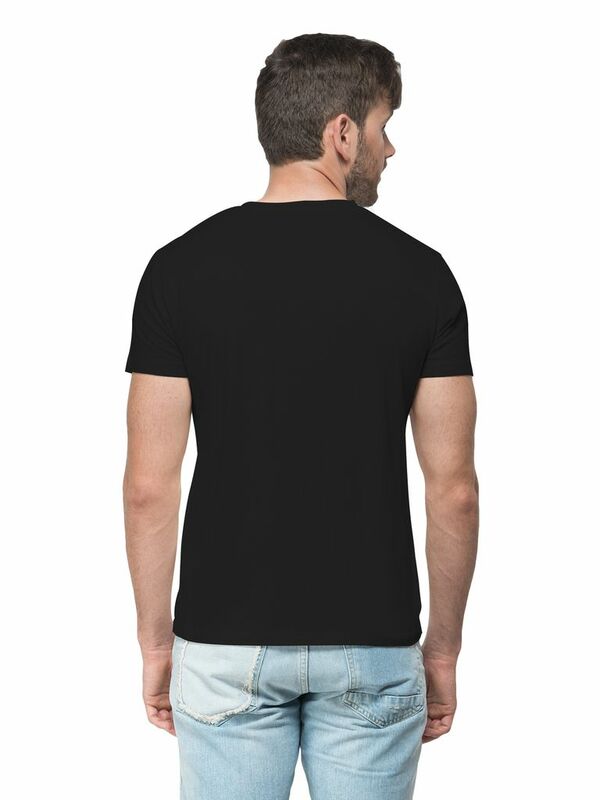 Has stood up to weekly wear for at least six months so far.